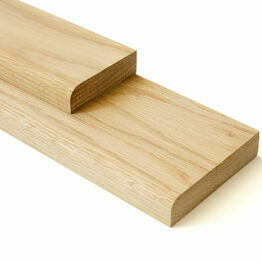 Our Profiles range will provide the perfect finishing touch to all your interior decorating and DIY projects. 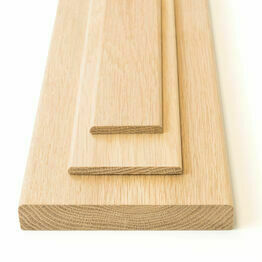 From framing the tops of doors to finishing off flooring with a neat skirting board join, all our profiles give your woodwork a professional, immaculate looking edge - choosing from Architrave & Skirting Board to Pencil Round and Chamfered Door Thresholds. 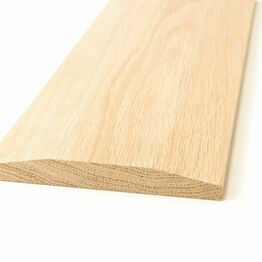 All profile material in this section is manufactured from highest quality American White Oak; a popular and versatile choice for all interior joinery due to its dense, durable and tough composition. We cater specifically to your bespoke projects, based on your precisely chosen measurements and then cut-to-size to achieve exactly what you're looking for.